For timber door hinged on the left or the right. Narrow stile is particularly suited to doors where the width is restricted ie glazed doors. Keys are suitable for use on doors up to 50mm thick. Deadbolt is locked or unlocked by key from either side. 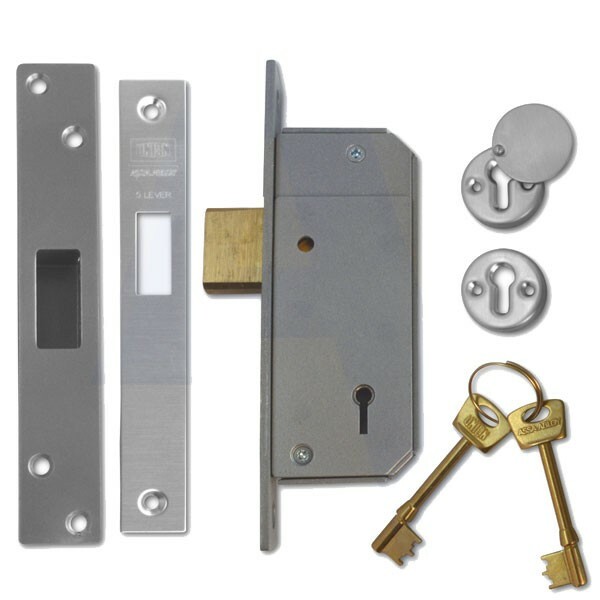 Extended 20mm deadbolt for secure positive deadlocking and resistance against attack. Force resistant, anti drill, anti-pick and anti-saw security features. Available with square forend and striking plate. Supplied with one plain escutcheon and one escutcheon with a cover plate, finished to match the faceplate/strike.